PRO series adopts refined speaker units. The big size HF unit and high power LF unit offer low distortion and high headroom at high SPL to suit the applications in theater, stadium, touring show, etc. New to the Studiomaster range are the S1 range of active and passive, premium quality speaker cabinets. The range incorporates an impressive 12 models to choose from, and high power ratings. Studiomaster have been producing injection moulded speakers for over 10 years with the aim of making PA more portable and the XPX series is set to take this to the next level. The new premium quality Studiomaster speaker models are the S3 range of active and passive, high quality speaker cabinets. 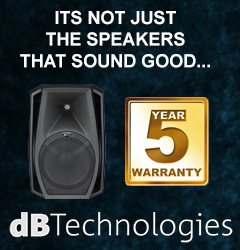 Featuring 14 models to choose from, all fitted with premium components and CLASS D amplification in the active models. The TRX series is a range of high performance, versatile enclosures with a massive 15 models to choose from, with both passive and active models in the range. The GX range sets a new standard in loudspeaker performance, portability and cost. The range comprises 10 models, 5 active (powered) and 5 passive (unpowered).